NCDC conducts a number and variety of agricultural projects in the Namsaling area. This brief video shows a group of volunteers preparing seed packets for tree planting – one of several reforestation projects in the area. “In 2001, agriculture provided about 41% of GDP. Only about 19% of the land can actually be cultivated. Regional imbalance and lack of integration also hamper Nepal’s agriculture. Although the country produces an overall exportable surplus of food grains, some areas of the country, particularly Kathmandu Valley and the hill areas, have a food deficit. Lack of transportation and storage facilities prevents the movement of food grains from the Terai to the hills, with the result that Nepal both exports and imports the same food items. Agriculture has been hampered by the lack of irrigated land, by the small size of farms (an average of four hectares/10 acres), and by inefficient farming methods. Some of the arable land is still held free of taxation by a few large landowners and farmed by tenants, whose productivity is low. The government has officially abolished tax-free estates (birta), eliminated the feudal form of land tenure (jagira), set a limit on landholdings, and redistributed the extra land to farm tenants. Its economic plans also include the use of fertilizers, insecticides, improved seeds, and better implements; the extension of irrigation; and the construction of transportation and storage facilities. Rice, Nepal’s most important cereal, is grown on more than half the cultivated land, mainly in the Terai but also on every available piece of ground in the Ka¯thm?ndu Valley during the monsoon season. In 1999, rice production totaled 3,710,000 tons. Production of maize, grown on the carefully terraced hillsides, was 1,346,000 tons in 1999; land under cultivation with maize was 25% of the area allotted to food grains. The output of wheat in 1999 was 1,086,000 tons; millet, 291,000 tons; and barley, 32,000 tons. Cash crops (with 1998 output) included sugarcane, 1,972,000 tons; potatoes, 1,091,000 tons; linseed, 27,000 tons; jute, 15,000 tons; and tobacco, 4,000 tons. Sugarcane, jute, and tobacco are the major raw materials for Nepal’s own industries. Potatoes are grown in Ilam and fruit mainly in Dharan, Dhankuta, and Pokhara. 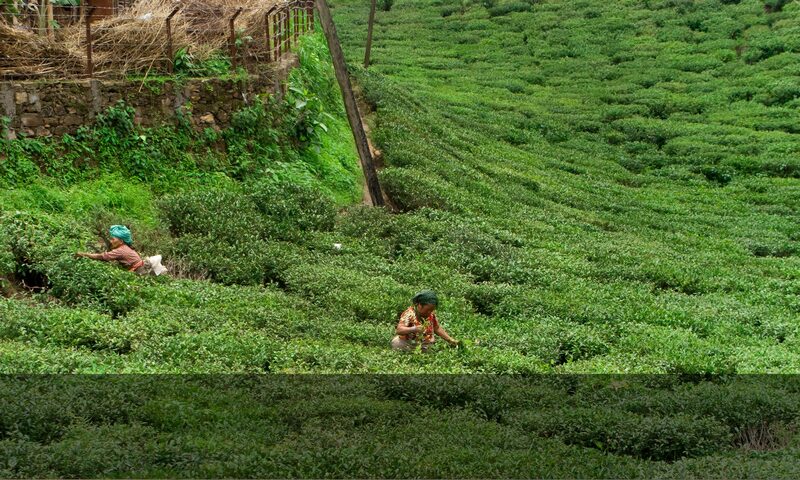 Tea is also grown in Ilam and elsewhere. In 2001, exports of agricultural products totaled $57.7 million, while agricultural imports amounted to $232.2 million”.